Investing in art and design is an investment in happiness. artinterface acknowledges the traditional owners and custodians of Country throughout Australia and recognises their continuing connection to the land, sea and community. We pay our respects to them and their cultures; and to their Elders past, present and future. artinterface collaborates with Australian Indigenous artists who relay an art form with rare beauty, steeped in tradition and knowledge. We endeavour to create an avenue for the continuity and appreciation of the oldest living art and culture in the world and firmly believe that art and design have a profound impact on the way we feel in our daily lives, at home, at work, and out in the world. artinterface is an online gallery specialising in Australian Indigenous art and artisanship. We can provide personalised service by appointment to facilitate sourcing the perfect work for your home or corporate space within Australia and worldwide. Please feel welcome to contact us for further enquiries or viewing. Images and texts may not be reproduced without appropriate permission. ARTINTERFACE IS A MEMBER OF AND ABIDES TO THE INDIGENOUS ART CODE. 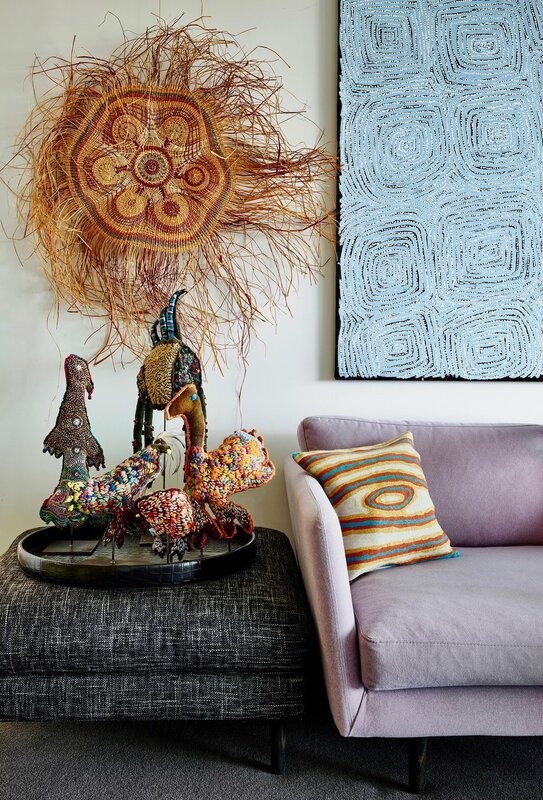 As a member of the Indigenous Australian Art commercial code of conduct, we are committed to the principles of ethical trade in Indigenous visual art as set out in the code.